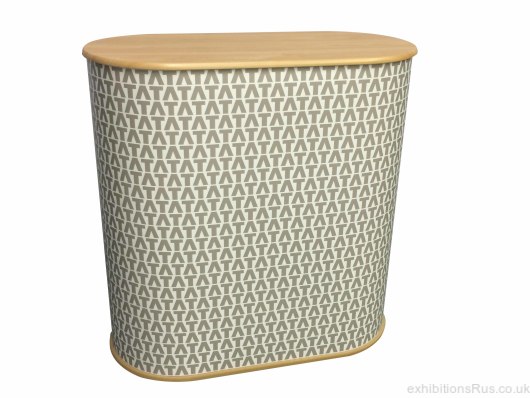 Exhibition display counter unit 1000mm wide x 500mm deep. 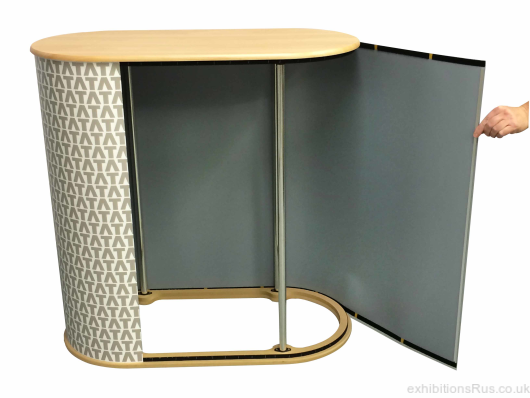 Double round ended "Graphique" exhibition counter unit 1000mm wide x 500mm deep, overall height 1000mm supplied with a velcro on aluminium composite white finish door panel as standard. 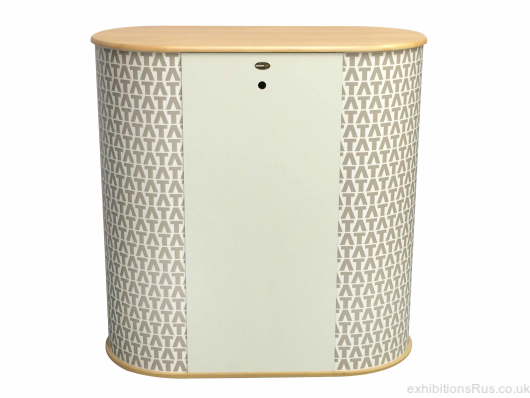 This revolutionary new exhibition counter design comes complete with a full digital graphic branded wrap and internal storage inside. These counters are purpose designed for events and are capable of taking 40 Kilos. This is a twist lock pole exhibition furniture system with out a tambour wrap to share the weight load. 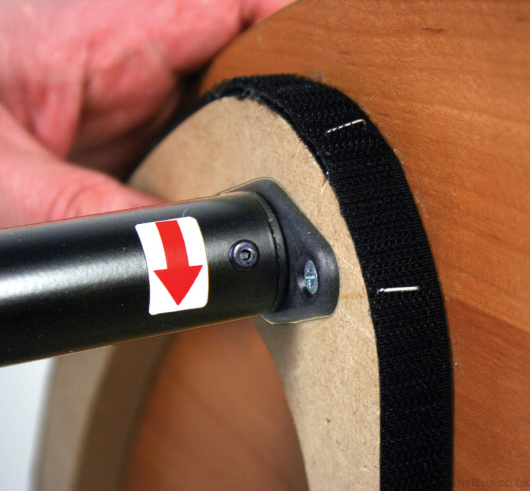 It can be put up or packed away flat in a few minutes flat. 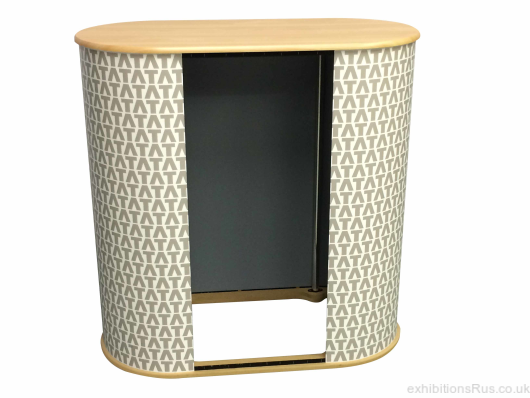 Supplied with rear closure panel which acts as a removable door, allows out of sight out of mind security of items stored on your trade show stand. Graphic Size: 2100mm x 970mm high. Please see PDF below for full specification, please see the PDF data sheet when designing your graphic.